In his book, Cialdini explains the psychology of why people say “yes” and how to apply these principles in your everyday life to persuade people. 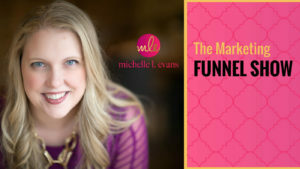 Today, we’ll tackle principle #5, and apply it to your marketing funnel because this will make a huge difference in how effective your marketing funnel actually is for your audience and your own results. 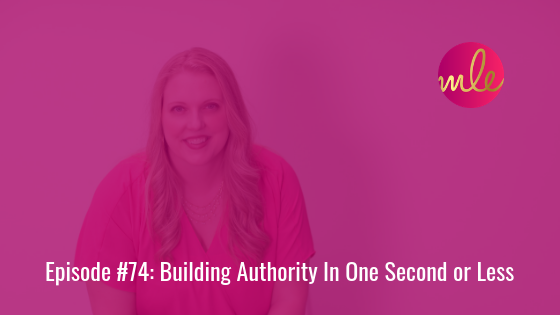 I struggled HARD with calling myself an AUTHORITY in the first couple of years of my business. When I was at Microsoft with my title, I automatically had a level of authority. The moment I said I worked there, people looked up to me EVEN when they didn’t know my job title. They just automatically assumed I was smart to have been hired there. Once they found out my job title, my authority typically went through the roof. This made me SUPER lazy in building my OWN authority. I just relied on these external sources of authority and credibility and didn’t bother to cultivate my own deep sense of authority factors for myself. I spent a crazy amount of time and money on trying to PROVE that I was an authority. In my first three years in business, I took over 30 online courses and joined four masterminds in an attempt to prove that I was an authority. It was the school of hard knocks that I needed in order to come to terms with who I am and what I ACTUALLY stand for. When Dr. Cialdini originally wrote this book back in 1984, titles like CEO, Dr., Professor, and even Manager were very prestigious. These days, we have other ways of establishing someone’s position of power and experience beyond just a title. In fact, a title like Founder, Expert, Author, Director, and Partner are probably more persuasive than a Ph.D. assuming a certain baseline number of followers and intellectual property. The big question for you is: What do you call yourself? How have you gone about PROVING your expertise, experience, and position of power to others? This is why people work hard to get featured on media outlets — TV, radio, newspapers, blogs, podcasts, speaking events and more — because those are immediately recognized as authority building factors that establish credibility almost immediately. The power of context: Psychological research has shown that people take only 1/10th of a second to form first impressions about someone. That’s FAST and it’s UNCONSCIOUS. Another study found that online people take HALF that time to evaluate a website. The big question is: HOW do you communicate authority quickly? We naturally — and unconsciously — add extra weight to advice we hear from the people we admire and respect. And we all naturally subtract weight, or even disregard, advice we hear from people we don't admire, don't respect, or don't know. You don’t have to be up on big stages. You don’t have to be a huge celebrity or a well-known author or a media personality. If you are fantastic — use it. If you aren’t, you’ve got some warming up to do. THIS is WHY the strategies, tactics, and marketing approaches that big-name, well-known people teach don’t work for you. THEY ARE ALREADY WELL-KNOWN. People ALREADY believe them. THEY have a BIG advantage over you because they’re already on a big stage — and we’re not. You can absolutely give yourself a big advantage too. All you have to do is be willing to WARM PEOPLE UP. And that is why a marketing funnel is SO VITALLY important as it will give you an unfair advantage in setting the stage for your business. When you get to set the stage, that changes how your audience views you. Suddenly you go from some random person to an expert — when you do it right. Back in my early corporate days, I worked in banking. At the age of 24, I was hired as the head of marketing and investor relations for a bank, and I got a big corner office with lots of windows and big, heavy, old school furniture. The previous person who had the job was a man, and he wanted to show how big and important he was. I hated that furniture, but I soon found out WHY these trappings were important. People would reverently come into my office. They would call me Ms. Mason. They would shake my hand and ask my opinion and listen to what I had to say even if I was half their age or less. These trappings told people I was important and someone to be listened to — even in my first weeks on the job. Online, authoritative proof overlaps a lot with social proof, and it’s important to approach building your authority pieces strategically. Are there some specific places you’d like to be featured so that you can quickly “prove” that you’re an expert within .05 seconds of someone hitting your website? Are there some specific case studies or client examples you want to cultivate and promote so that clients understand the benefits that come from working with you? How will you showcase those examples? Where will you feature them? Which social media channels are you growing, and what expertise are you showcasing there? When you demonstrate that you’re great at what you do, people will believe that you’re an expert and someone who you respect. While these tips are meant to activate an almost-automatic human response, they will backfire if your product, program, or service isn’t up to standard. DO NOT overpromise and underdeliver. Once you lose the faith and trust of your audience and your reputation is tarnished, you won’t get it back. When people believe and trust your brand authority, they will also have higher expectations of your ability to deliver. So when you fall short, own up to it, and make things right. It’s okay to make mistakes, but be sure to follow through, and make things right. Being good isn’t enough. You need to demonstrate that you’re an expert so that people want to buy from you. We went through three authority factors you could use. Which one or ones will you use so that people find you and your business more compelling?